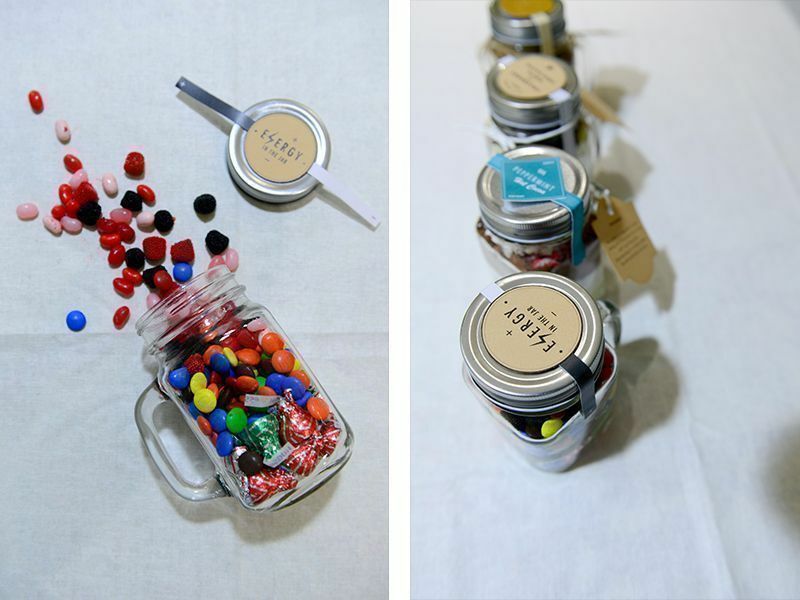 DIY Gift Jars with Free Printable Labels! 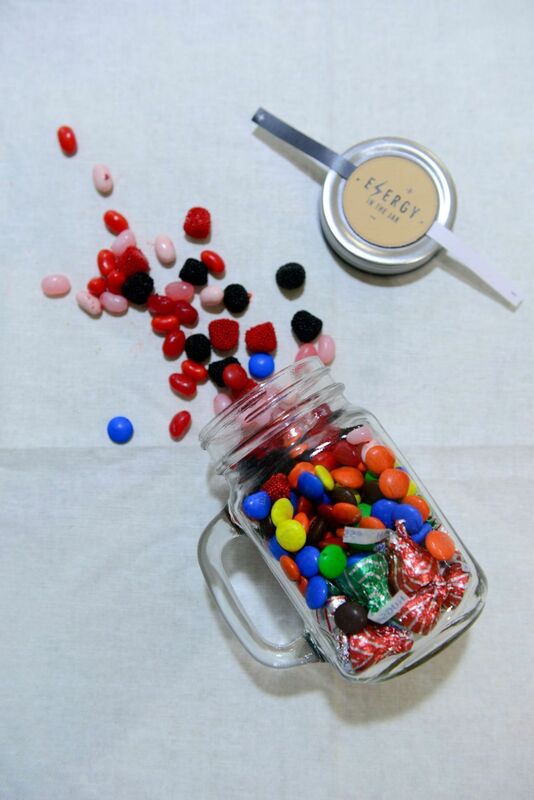 Here’s the perfect pre-Christmas weekend project: get creative and gift your friends something different this season with these DIY Jar Gifts! 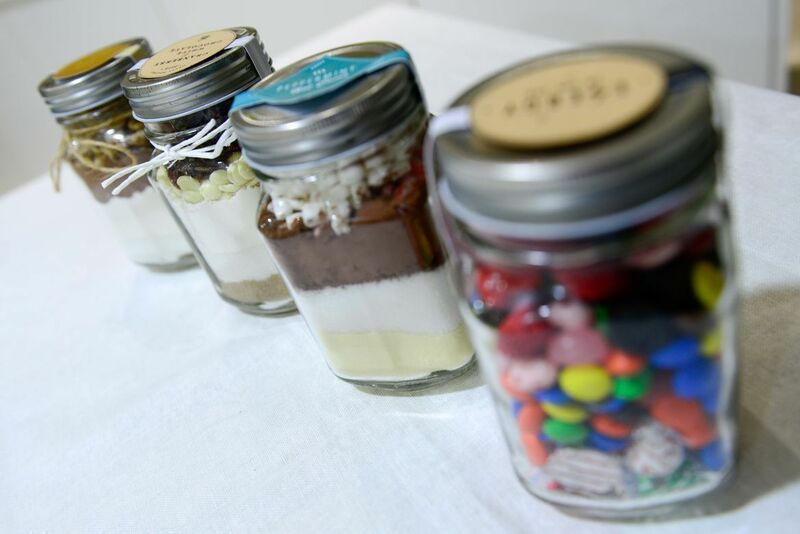 These jar gifts are not just fun to make, but are also really pretty with their multi-coloured layers. 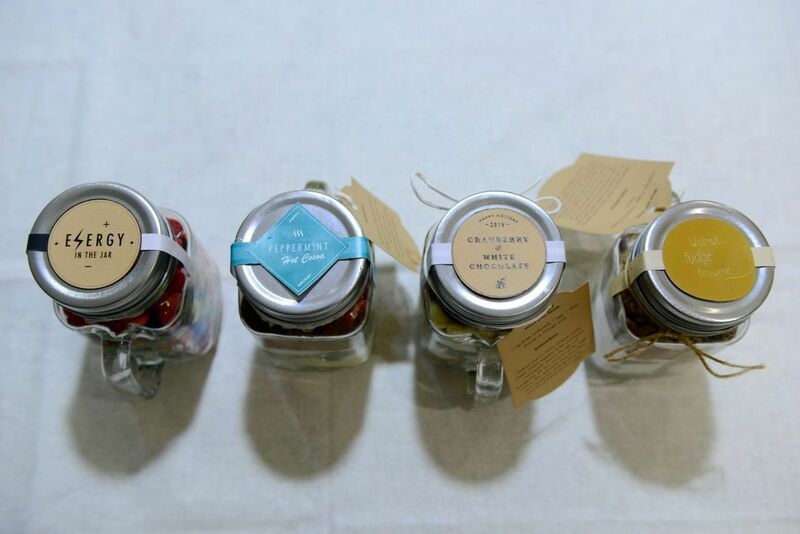 If your jars are of different sizes, especially if they are reused, just keep the ratio of the ingredients the same. Don’t limit yourself; add in any additional toppings that strike your fancy! There are endless possibilities here: baking mixes, bath salts, craft projects―and here are ideas with free printable labels to accompany them. Scroll down for the link to the free printables! 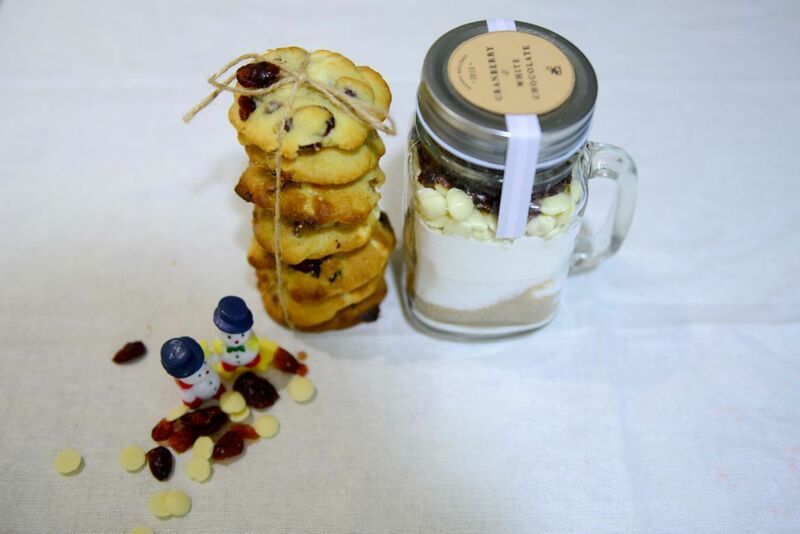 Have a cookie monster friend or maybe someone who’s a little hesitant about stepping into the kitchen? 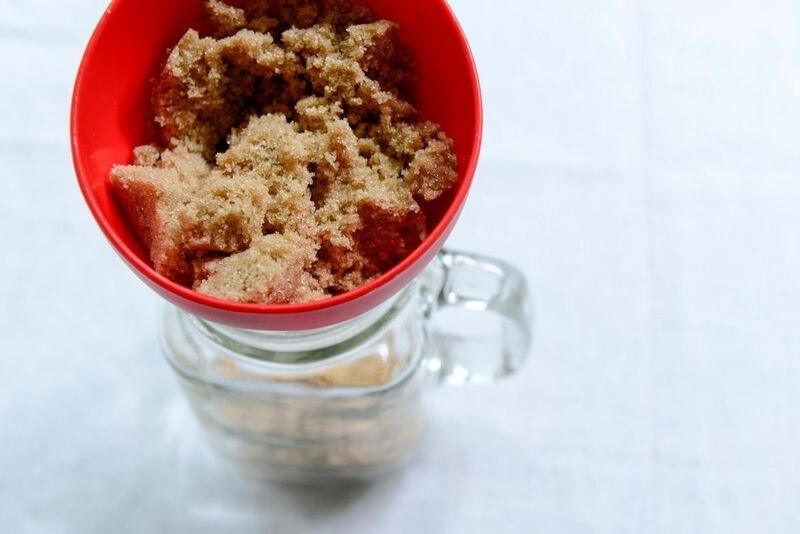 Baking mixes in jars may just ease them into their kitchen forays―all they need is to mix the contents with one or two additional ingredients and pop the dough into the oven! Layer the ingredients in slowly; it’s good to keep either the flour or sugars at the bottom whilst keeping the chunkier toppings above. 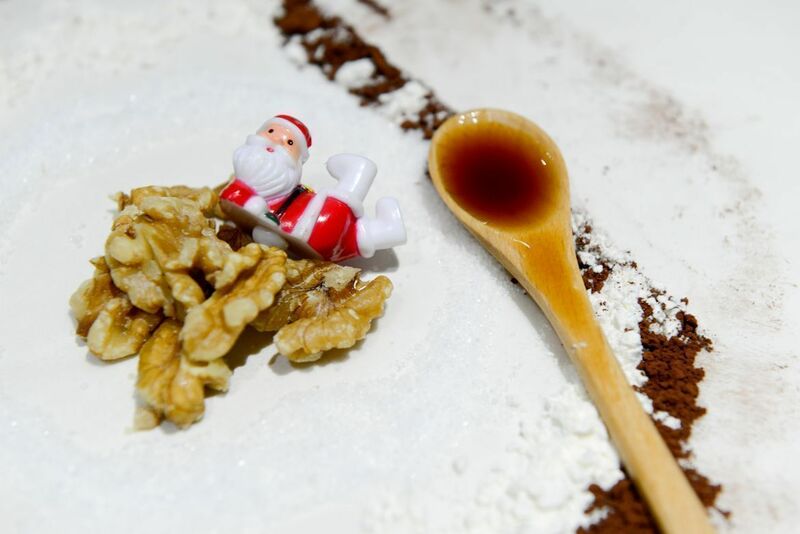 Otherwise, the finer flour and sugars might seep into any lower chunkier layers. Similarly, layer in the ingredients leaving the chunkier toppings on top. 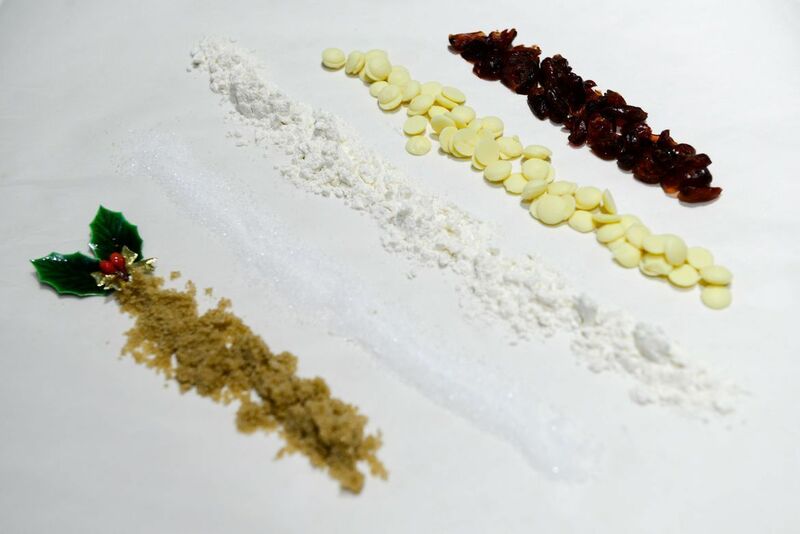 You can choose to add other candies to add more colours, or if your recipient has a particular preference for brownie add-ins. 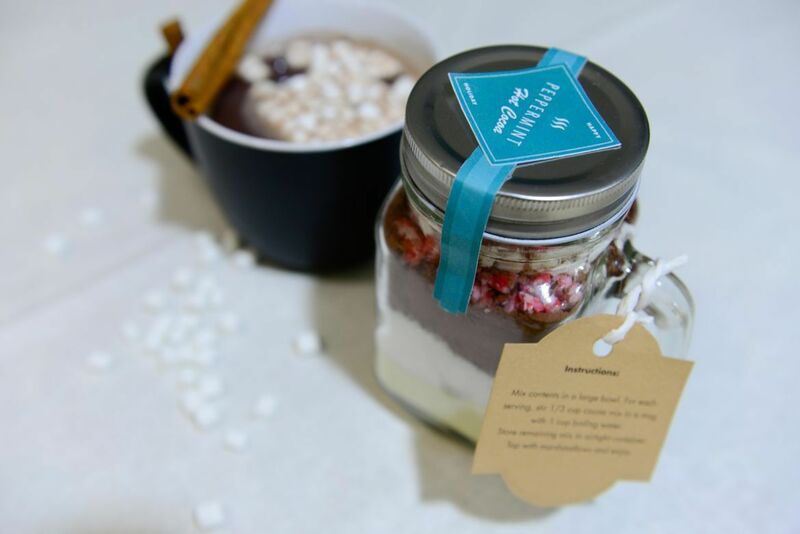 Hot cocoa mixes are great gifts that will definitely bring warmth to the soul, whether enjoyed by a fireplace or in our rainy December weather. 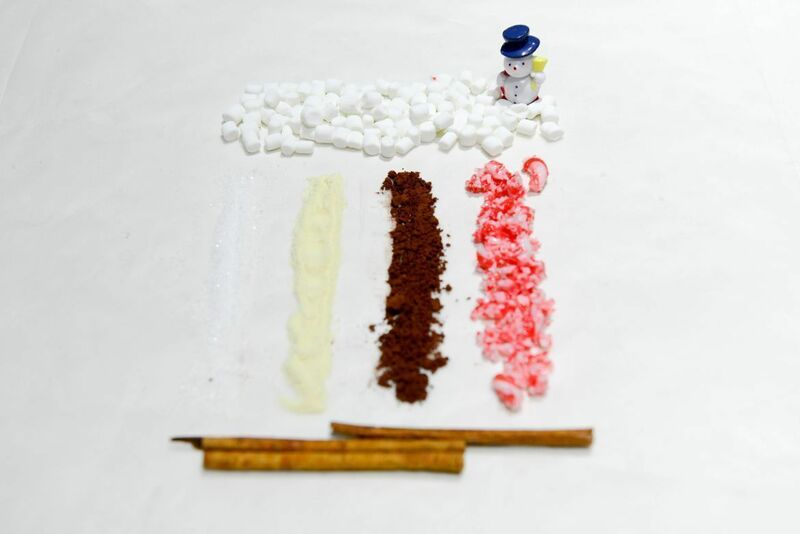 Vary it by adding mint, cinnamon or chili, vanilla, or even a small bottle of Baileys (it’s Christmas after all)! Adjust the sweetness level accordingly. 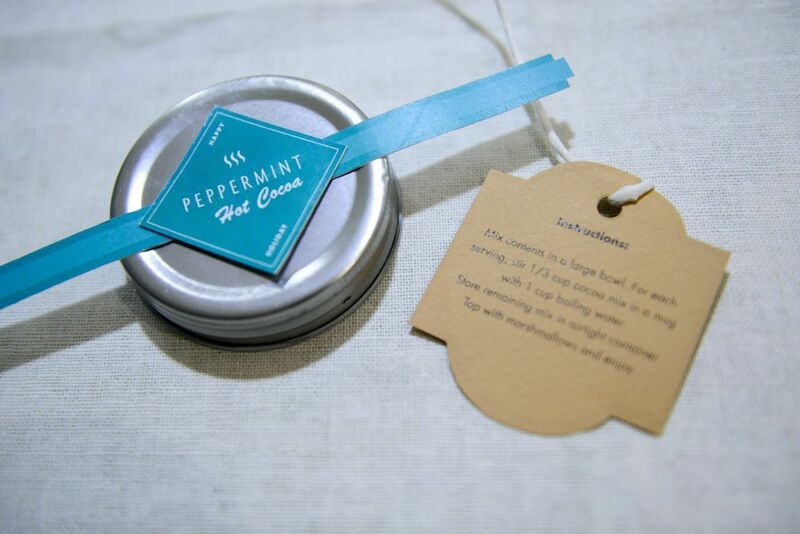 If you're including cinnamon sticks, tie them along with the label instead of sticking them inside. You could also create your own Chai Tea mix with this. 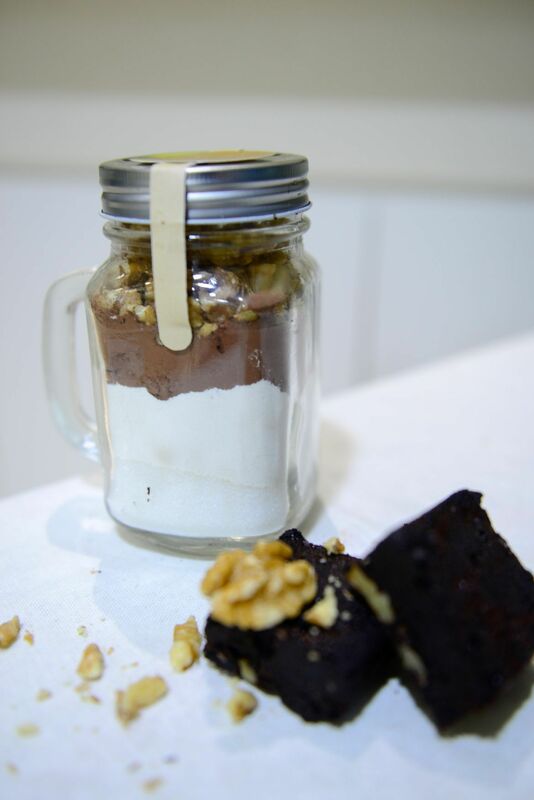 Energy in a jar can range from sweets, chocolates, or granola. 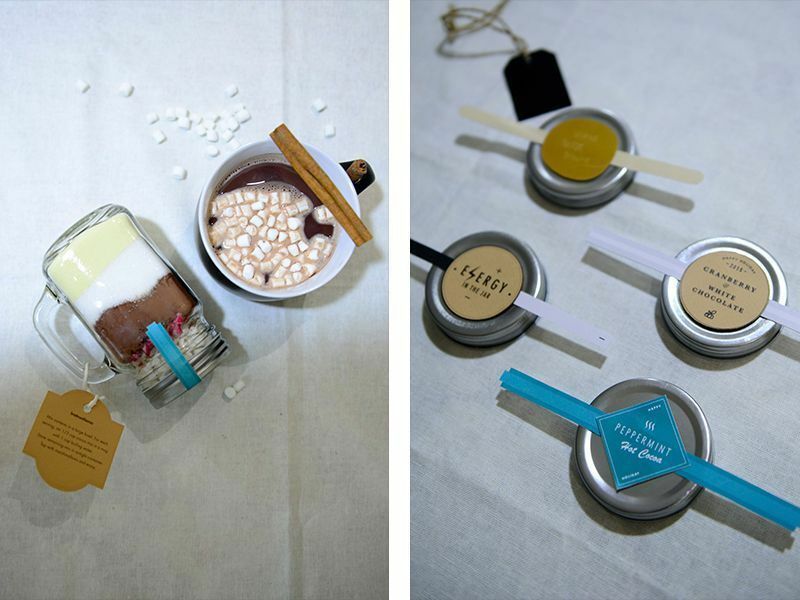 Here we chose colourful and festive-themed candy (doesn't looking at it already make you happier? ), but go on, go wild with your imagination! Download the labels and instruction printables here.